Why is massage important in long distance runners? Have you started the new year with a new running goal? Signed up for a 10k, half marathon or feeling brave and gone for a full marathon?! Now it’s time to get that training stepping up a gear. reduces fatigue, increasing flexibility and mobility and the removal of waste products. Enhanced sleep quality and promote well being. A post-event massage aids recovery. This is achieved by reducing post-exercise soreness, re-establishing full range of motion and enhancing blood flow to tight muscles. The length of recovery time from competition can be dramatically reduced with a good post-event massage. Here at the clinic, our massage treatment plans are individualised and aim to support your needs as a runner. 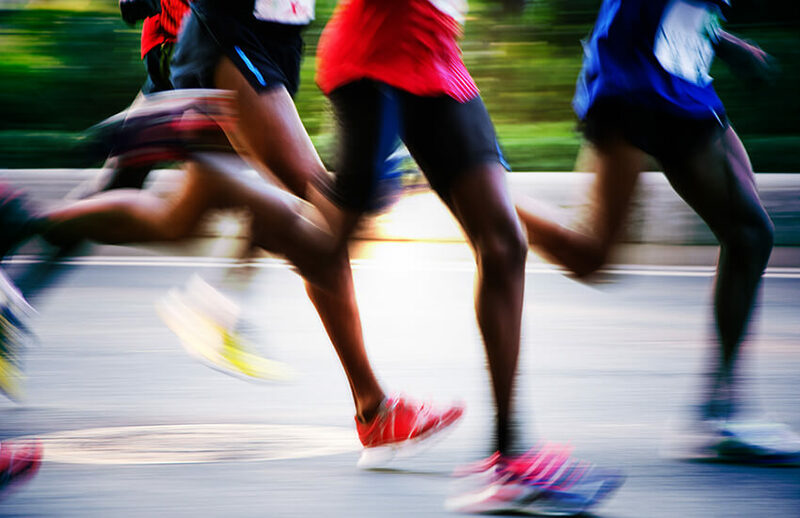 We assess your running goals and take into account any reoccurring injuries, new distances and how much you are pushing your limits and work out a plan of treatment during your training period. It’s important to remember that deep tissue massage can sometimes leave you with sore muscles, so it is important that you leave enough time between the treatment and the race to recover properly. During your training it is suggested that sports massage is beneficial every 4-6weeks in order to fully benefit from all the effects and to keep those niggles at bay. If you want to get a massage before a race or a long run, it is best to do it 2-3 days before in order to make sure those wobbly legs return back to normal before the big day! A post event massage should be carried out 1-2 days after. If you’re not doing any long runs and just want a massage, you can benefit anytime. Self massage can offer some of the benefits of a sports massage and we highly recommend that you do this between your treatments. This can be done with a foam roller, a massage stick or a massage ball. If you’re not to sure how to use them, we are often putting videos on our Facebook to help, so check them out! Here at HJ Health and Sports Therapies we offer 30min and 45min massage treatments specific to help your training and any niggles you may get. Treatments can also include a series of stretches and home exercises to ensure you get the best results. To book an appointment or to find out more information on how this can help you, please contact us on 07846452000 or fill in our contact form online.